We are pleased that you are joining us in Brisbane! For your convenience, we have secured a variety of hotel blocks located near the Convention Centre. After you have completed your online conference registration, select a hotel below to secure your hotel room. Do not delay in making your hotel reservations – these hotel rooms will fill quickly! Reserve your room at your earliest convenience to guarantee availability at the special group rates. The conference room blocks at the discounted rates are available until April 24. After April 24, the discounted rooms will NOT be available. Based on availability, rooms may sell out before April 24. 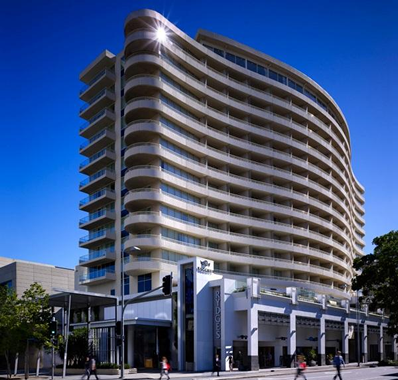 Enviably located in the heart of Brisbane’s arts and entertainment precinct, Rydges South Bank Brisbane accommodation has a wide range of attractions on its doorstep including the South Bank Parklands and it is conveniently attached to the renowned Brisbane Convention & Exhibition Centre. The discounted group rate for Metabolomics has expired. Rooms may still be available at the hotel at the prevailing rate. 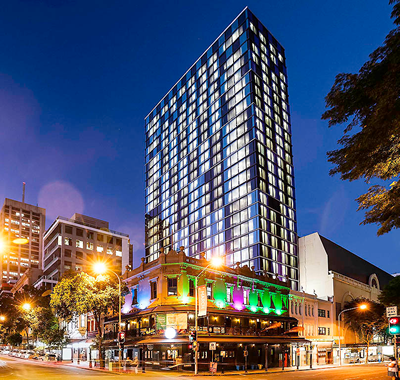 Located at the heart of the Brisbane CBD, the ibis Styles Brisbane features uninterrupted views of Brisbane River and the South Bank cultural precinct. 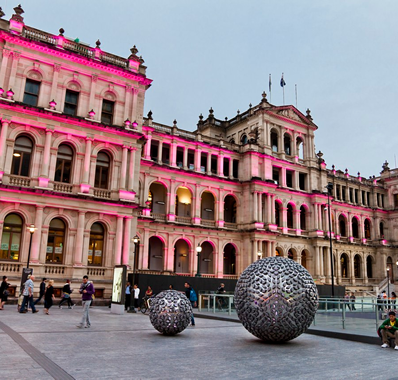 The best shopping and dining in Brisbane is at its doorstep with access to Queen Street Mall, Treasury Casino, Eagle Street Pier, and public transportation. Room rates include wifi and continental breakfast. The BCEC is an appx 15-20-minute walk (1.4km). 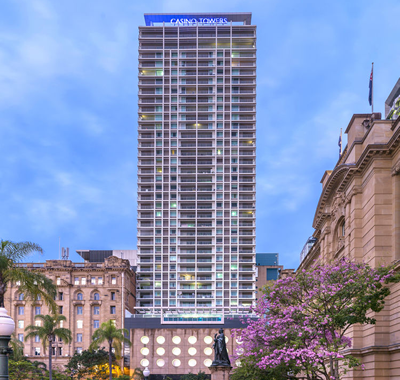 Oaks Casino Towers fuses stylishly appointed 1 and 2 bedroom apartments with sleek designs, full kitchens complete with modern appliances, in-room conveniences including Internet access, spacious living and dining areas and sizable balconies overlooking the city and river below. Located 1.5km from the BCEC. 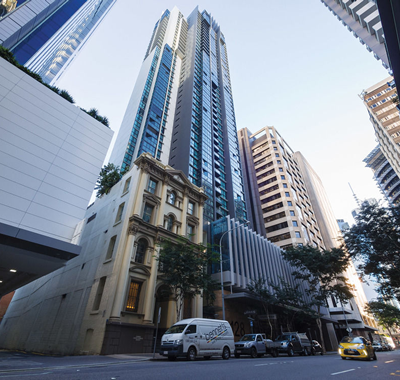 Each of our stylish 1 or 2 Bedroom Apartments feature floor-to-ceiling windows boasting stunning views over Brisbane. Full kitchen and laundry facilities allow for flexibility and convenience. Located 1.8km from the BCEC. The special discounted rates available for Metabolomics attendees is based on availability, and unsold rooms will be released in increments prior to the event. To secure a room at the discounted rate you should book your hotel reservation as soon as possible. If you wait until April or May to make your hotel reservation, it is likely that the special rate room blocks will be full. Attendees should contact the hotel directly to cancel your reservation to avoid penalty charges. It is the responsibility of the attendee to take notice of any cancellation fees imposed by your selected hotel. The cancellation and refund policy varies between each property.